What a fantastic first day here at Enfield Grammar School! 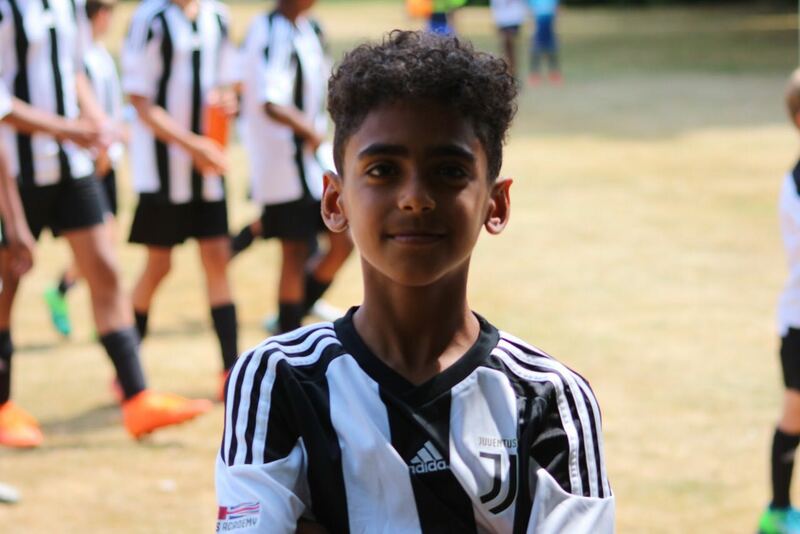 The first ever Juventus Academy camp in London has started. Turnstyles Academy is very proud to host Juventus in the capital and both Turnstyles directors, Nathan Eno and Callum Hosier, played a massive role today, making sure that everything went smoothly. The camp started with players, parents and coaches all meeting at the 3G pitches by the school around nine o’clock this morning. Young footballers, aged from 6 to 14, were first registered through the TAGPAY app. Then, after registration, the players dropped off their bags and then got their own official Juventus FC training kits. After having an introduction meeting with the Italian Juventus FC coaches, the players walked out on the pitch to the official Juventus song, Storia Di Un Grande Amore. Walking alongside with the official coaches from such a big club and being filmed by the cameraman while entering the pitches, made the kids feel like they were about to walk into a Champions League final. Juventus FC coaches Nicolo Sarti, Nicola Carofiglio and Pier Filippo Zanichelli were present and the focus on today’s training was building play from the back. 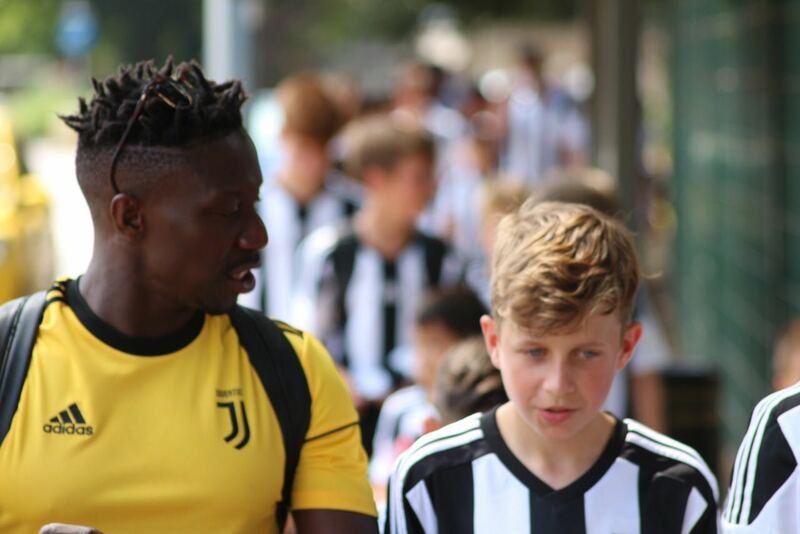 Forty kids were all divided into three age groups, each group being coached by one of the Juventus coaches. The energy from all three coaches was high. Music and synchronised clapping before entering the pitch after water or snack breaks symbolised that this camp is about enjoying yourself while playing the beautiful game. The Italian coaches also brought the tropic weather with them, the weather being around 30 degrees Celsius all day. This being out of the norm, water breaks were in use frequently. Lunch break was spent by the field next to the grammar school where children were told by the coaches to have an hour of free time. TAGPAY and its team were present today working alongside with two cameramen, making sure that the day was organised and well documented. media to showcase this event. The cameramen divided up their task into two parts, one constantly filming and the other taking photos of all participants. You can now watch all the stories and posts from the social media accounts of TAGPAY, Turnstyles Academy and the Juventus Academy London. During the training sessions, we got the pleasures of getting visited by coaches from the Juventus Oman Academy. 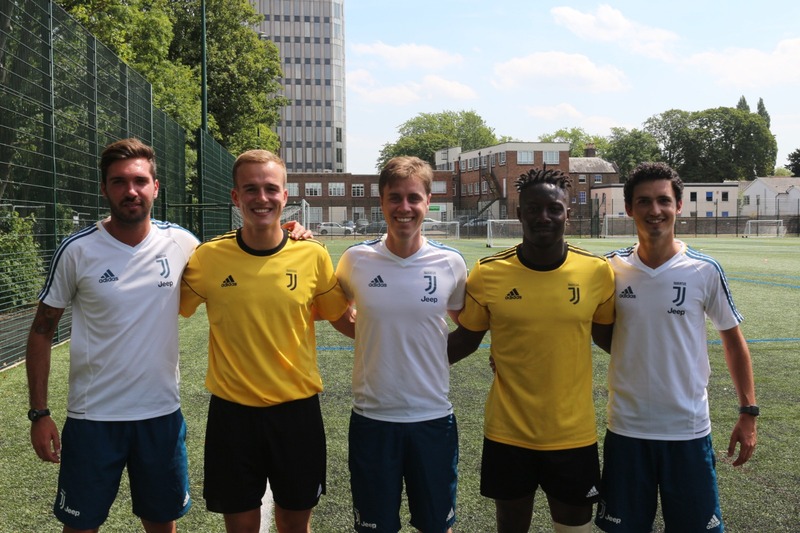 TAGPAY and the cameramen used this opportunity to create a short interview with coach Jerald and Nathan Eno asking them about the advantages of having a Juventus Academy here in London. The training session ended at three o’clock and it is safe to say that it has been an extremely successful Juventus Academy London launch! Next week the academy will move to Wandsworth for three days starting Monday the 30th of August.